Raise your hand if you love peppermint! I know I do. This refreshing, cooling herb has more uses than I can list, and is irreplaceable in many products and foods we all love. Think you know all there is to know about peppermint? Read on! It’d be easier to talk about what peppermint isn’t used for! Obviously, peppermint is a popular flavoring in foods as well as in body care products, with both the leaves and the oils of the plants being used in both. Peppermint also has many interesting medicinal uses. 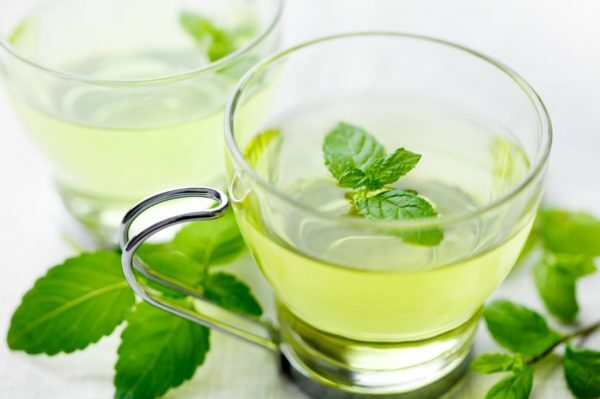 Peppermint oil (or tea) is a fantastic for lessening the symptoms of nausea and other gastrointestinal issues like relieving gas and bloating. When you got the sniffles as a kid, I’m sure lots of you remember being given peppermint tea or having your chest rubbed with a peppermint salve. It turns out your Mom was really onto something – menthol, one of the main components of peppermint, is an effective decongestant and expectorant (meaning it thins mucus). Peppermint is soothing for sore throats and dry coughs, as well. Aside from being great on your insides, peppermint is also great for balancing oily skin, or simply cooling it off during the warm months. What’s your favorite use for peppermint? I love it in my Rosemary Peppermint Body Wash – so refreshing first thing in the morning! Peppermint lotion to soothe – and say Thanks! to – sore feet when I’ve been on them too long!